I really don't know why there is alot of beauty pageants organized in Penang? Is it because Penang also famous for lengluis beside the food. Perhaps the Penang readers can enlighten me on this. Seems that the contest has multiple heats in stages. (4 heats, so I will update this post from time to time. Hopefully I remember ). So , KnowThyMoney will pick the best girl to win the crown based on which is the prettiest girl in each heat (beauty lies in the eye of the beholder, so feel free to disagree with me :p) . Go ahead and vote for them at this link here. Looks like the theme of the contest is bikini wear. 2nd Heat: KnowThyMoney's Pick : Cammy Yeoh. She doesn't need to wear a bikini to charm us with her beautiful smile & fair skin. 1st Heat: KnowThyMoney's Pick : Wawa Cheah. I think if there is a slight tilt to highlight her face, then the photo will be lovely. 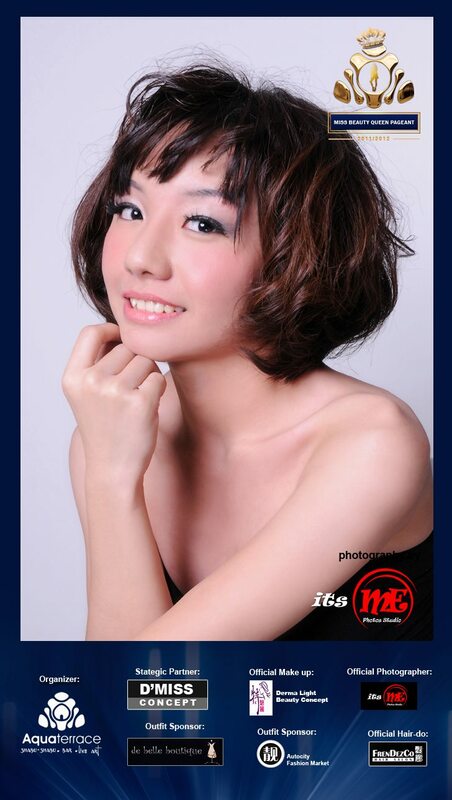 And watchout for a Malaysian celebrity, Chris Tong (luckily she does not looked like a man) to grace part of the event. She is currently on TV8 playing a role of an adjustor (something like CSI) in Adjustor 2. Really mature and elegant looking woman. Exudes the beauty with brain aura. The rest of the contestants, in their best bikini wear. (Again i think the photographer's skillset & make-up artist ability play a big role here to highlight a contestant's beauty) .Click read more to view. Hi Kris, yes, indeed there are alot of fashioable leng luis in Penang, especially in Gurney area. I can testify to this. Only if you don't mind some of them smoke and has tatoo at strategic places on their body; but hey, I am not judging anyone here okay? :) I thought you are in Penang anyway. I don't fancy smokers as I am a non-smoker. Strategic places huh..(how did you manage to see those) haha.. I am not a Penang kia. As for tattoos, i guess as we modernized, these gets very common. It is no longer associated with triad societies, more or less about fashion. Of course not whole body tattoo, that is creepy for me.